Amazon Prime Day is still in full effect around the world. But notable is its effect on all manner of other dealers. As online sales rocketed, Mile High Comics introduced a San Diego Sale a little earlier and a little deeper than usual, with half price off all comic book back issues. And that’s a lot of comics with a lot of discount. Membership is not necessary but you will need to use the SANDIEGO codeword. 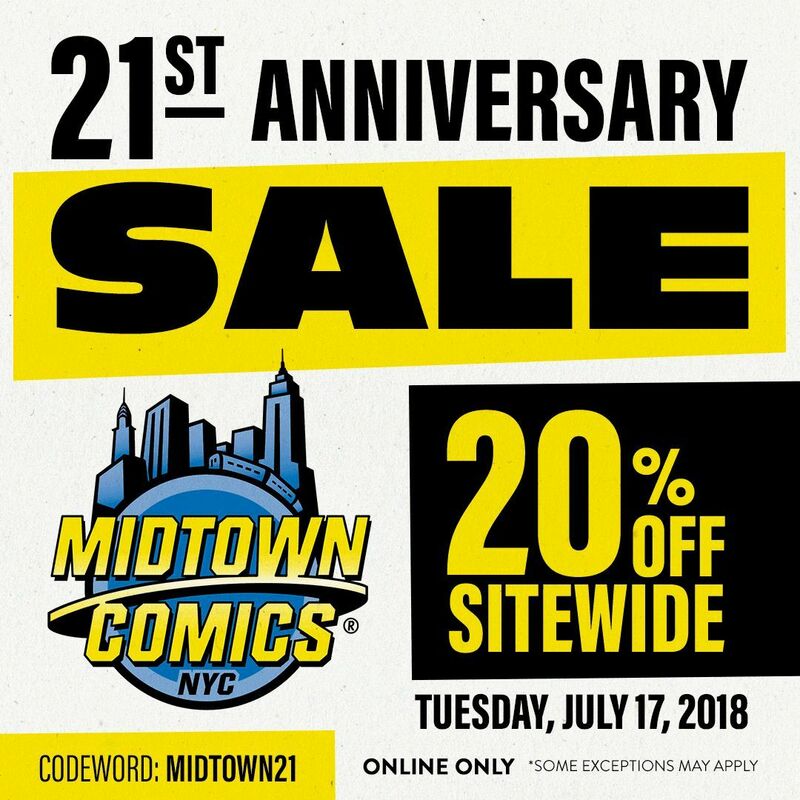 Equally, online and brick-and-mortar store Midtown Comics introduced their own sale, 20% off everything online for their 21st anniversary, again with a codeword MIDTOWN21.